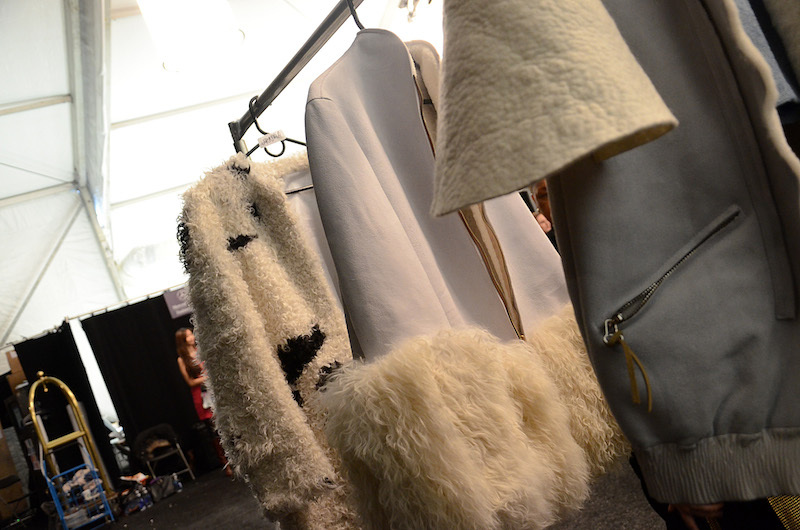 Mongolian-born designer, Katya Zol, fully embraced her heritage during her Fall 2014 runway show at the Lincoln Center. The amazing theatrics were at a maximum level as a traditional Mongolian singer and dancer performed before the show began, getting the audience psyched and ready for the view. 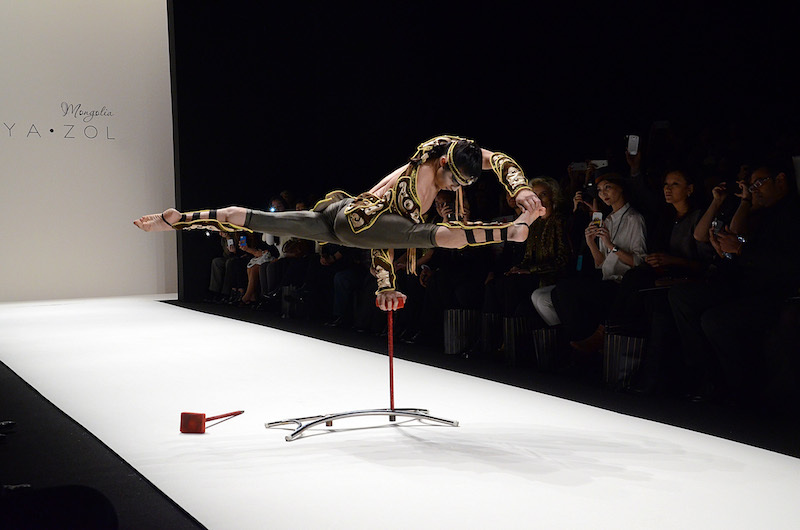 As the dancer balanced and twisted in every direction, we all anticipated the rocking clothes to come. First off, lets take a second to talk about the coats.Traditional raw materials were heavily present, including wool, cashmere and felt. Comfy, cozy and high-fashions all in one. We had a special sneak peak backstage before the show began, and believe us, they’re gorgeous. Fuzzy and warm, they help battle the elements in complete style and finesse. They’re not all of the fuzzy persuasion though— there’s plenty of red hot leather numbers to go around, including a black leather strap detailing on a sweater dress. That look in particular will soar this upcoming season. Dresses were kept ethereal and loose, channeling the inner goddess in all of us. The added face paint detailing really hit the nail on the head. We got a taste for this designer’s homestead, and what we call a ‘show.’ fdmLOVES KATYA ZOL Fall 2014 NYFW selects by Brigitte Segura, written by Allison Ripa.